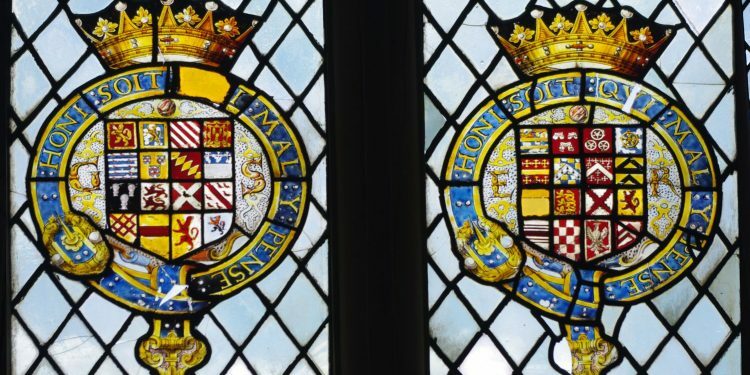 What is Heraldry? Down the years many authors of books and essays have contributed to answering this question. One of the best and succinct definitions was penned by Sir Anthony R. Wagner when in office as Garter Principal King of Arms. Heraldry has a rich breadth and depth beyond this starting point. It is easy to overlook that the Heraldry that appears in our public places has over eight hundred years of history and tradition behind it. This has become interwoven with the fabric of our society. If so does it have a purpose? Heraldry traces its origins back to the 12th century. This was a time when it was important for those people who governed the country the shires and the manors needed to be clearly identifiable. This permeated from the Monarch down through the governing structure, the knights, barons and nobility, the Nobilis the known. Heraldry provided a means by which they could be known. Known, not only to each other but also to the population at large. The means by which this was done, was to adopt a ‘coat of arms’. At the same time this clever method of identification was being adopted throughout the governing hierarchy of Europe. It was not long before other sections of the medieval society saw the value of being identified by the use of Arms. Soon in step with th State, came the Church. Then the Merchants, in their turn the Guilds followed suit. Towns and Cities also in their turn adopted the idea of a painted shield up on which were emblazoned their particular symbols and devices. In order to not only to give themselves legitimacy but also to proclaim who they were. This was its purpose, and despite being seen as a quaint anachronism in the digital age, its purpose still holds good today. One proplem that arose from the system of creating arms by painting shields was that it was easy to duplicate or copy other peoples. There were notable cases of this happening. Keeping track and recording these Arms were Heralds who had been doing this in an ad hoc way. It was recognised that for the structure to work the Heralds needed to become official in order to regulate this system. 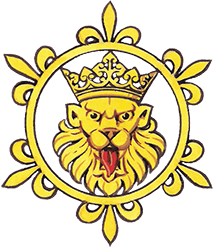 English Heraldry is unique in that it has been officially codified and recorded and regulated by the Monarch’s Heralds, which are today a part of the Royal Household. King Richard III in 1484 recognised that the system of who used arms required control. To this end he instituted the Heralds into a working authority known as ‘The College of Arms’. Today the College has the most comprehensive records of Arms, pedigrees and grants of arms and charters probably in the world. By dint of swift action, foresite and no doubt some bravery all of the ancient records were snatched from the inferno of the ‘Great fire of London’ in 1666 by the then Heralds. This action saved for perpetuity this most unique collection. A more considered exploration or study of Heraldry soon reveals that far from being an anachronism confined to the pages of history, it is not only alive and well, it offers us a threshold from which to interface with other disciplines in the arenas’ of Science and the Arts & Crafts. Be assured that this will reveal itself. often, it is what people who have come to know Heraldry and seen what it has to offer, say about it that encapsulate it. ‘Heraldry survives because it links with the passed, absorbs the new, and provides continuity with the future’. Another observation to draw attention to, is that which was made by the founder of The Heraldry Society. John P. Brooke-Little when in office of Richmond Herald 1970 when he wrote. There is so much to read and discover about Heraldry it will open up a plethora of creative possibilities. You may have already begun the journey! A ‘Beginners Guide’ is downloadable as a PDF in the Education Menu.